William Chetcuti won a gold medal in a double trap event in Cyprus. 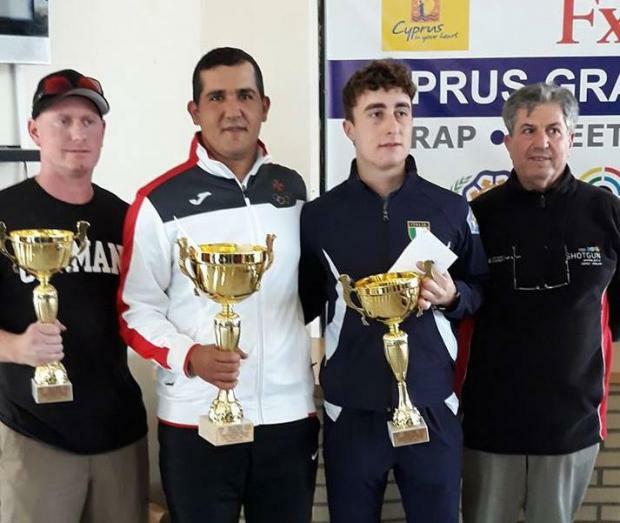 Malta double trap shooter William Chetcuti has added another international honour to his trophy cabinet after winning the Cyprus Grand Prix. The Manikata shooter racked up 136 points from 150 after compiling scores of 26,28,28,26 and 28. Chetcuti stepped up a gear in the final rounds when he hit 77 out of 80 clays to seal the gold medal. Italy’s Andrea Vescovi placed second when hitting 72 out of 80 while Germany’s Andreas Loew was third on 52 from 80. In the first hours of the competition the shooters had to contend with very bad weather visibility. Gianluca Chetcuti was the other shooter in action in Cyprus yesterday under the supervision of coach Jimmy Bugeja. 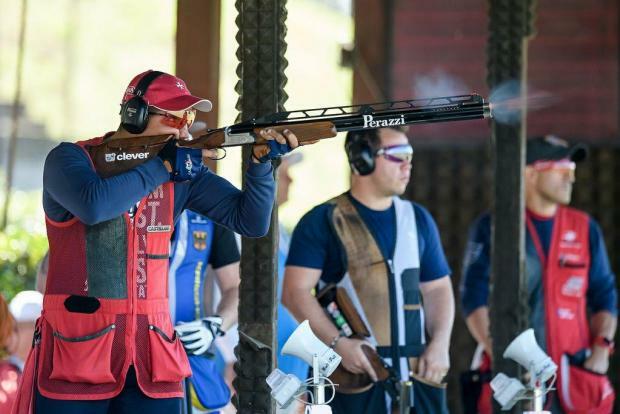 A contingent of Maltese shooters will be competing in the Trap Grand Prix later this week. William Chetcuti (second left) holds his trophy in Cyprus.